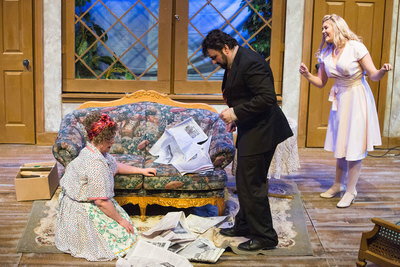 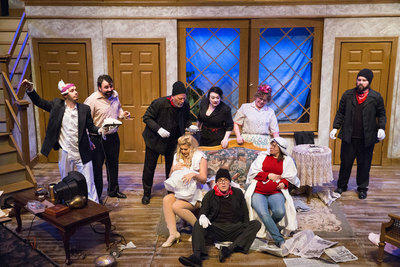 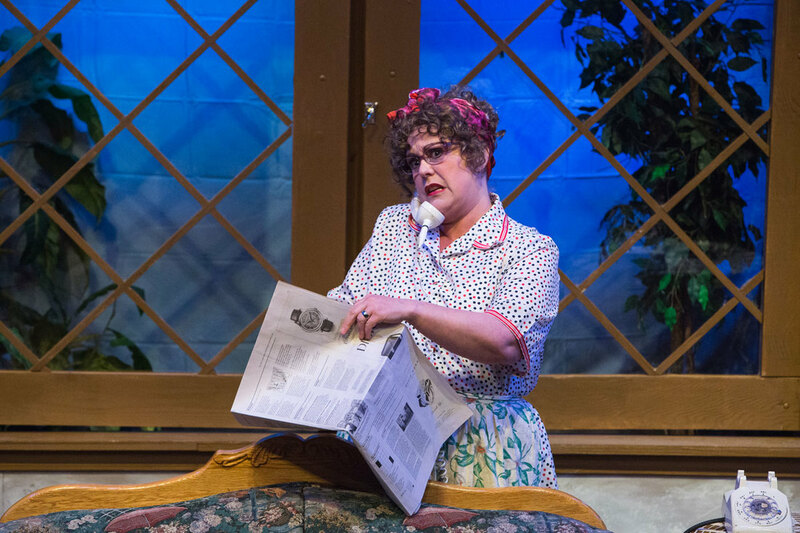 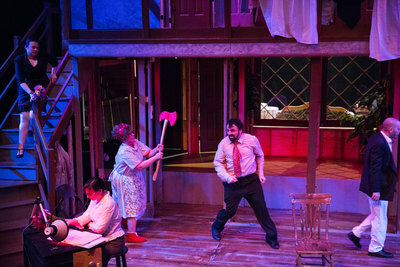 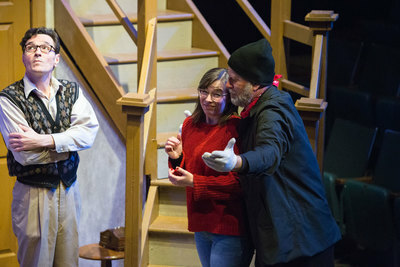 Called “the funniest farce ever written” by the New York Post, Noises Off portrays a manic menagerie of itinerant actors presenting a farce called Nothing On. 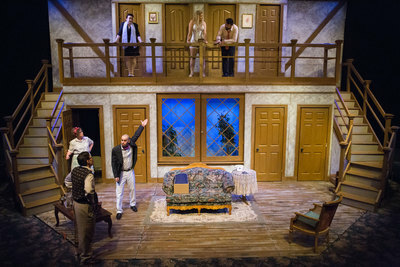 With the players’ susceptibility to out-of-control egos, memory loss, and passionate affairs, every performance is a high-risk adventure. This play-within-a-play follows the touring troupe’s production through three stages: the disastrous technical rehearsal, a matinee a month later (as seen from backstage), and a performance towards the end of the debilitating ten-week run. 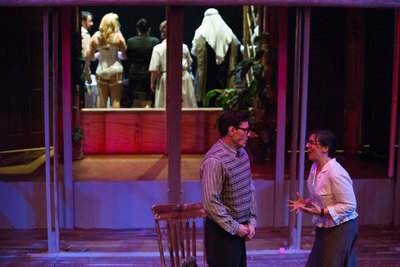 On stage, it’s a whirlwind of slamming doors, missed cues, dropped lines, and dropped trousers. Backstage, it’s a chaotic maelstrom of love triangles and trampled egos, and there’s no one without an axe to grind . 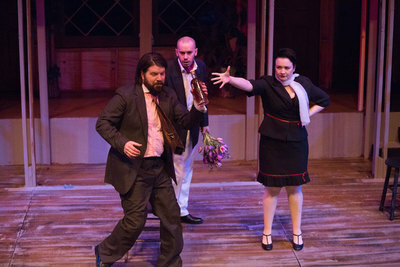 . . or swing. 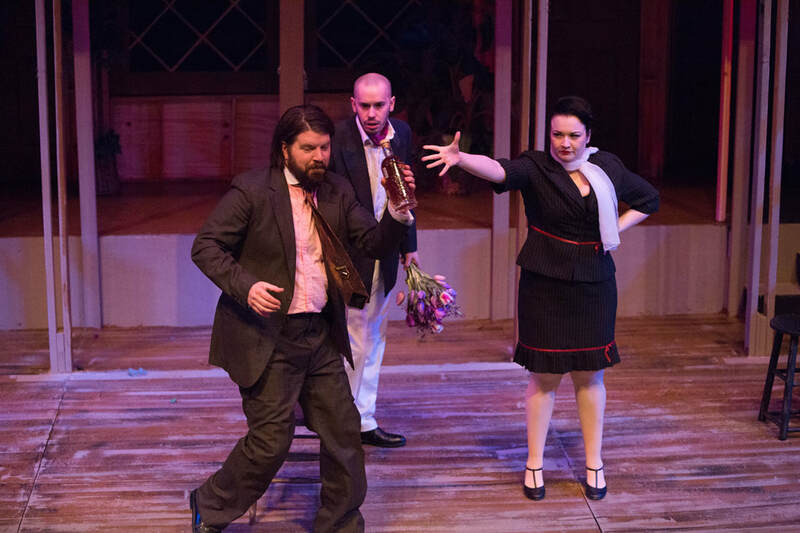 Brimming with slapstick humor – and flying sardines! 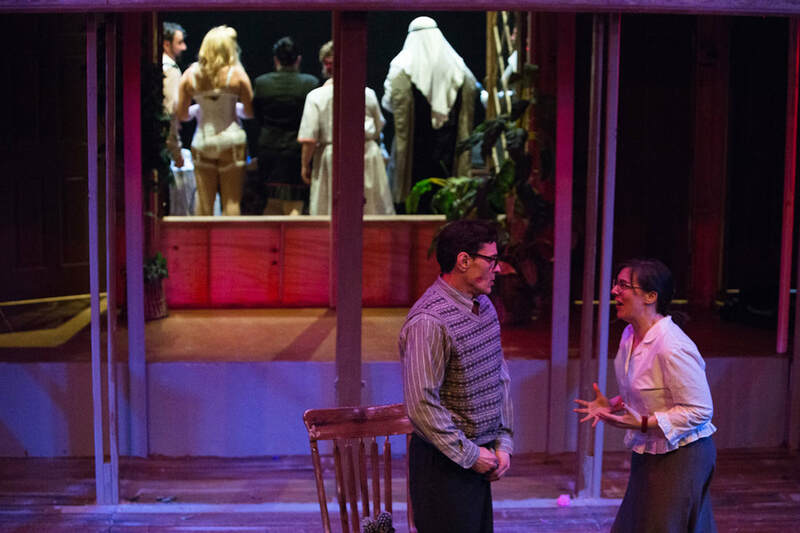 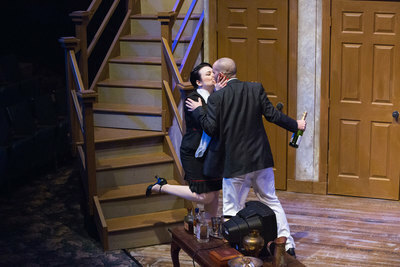 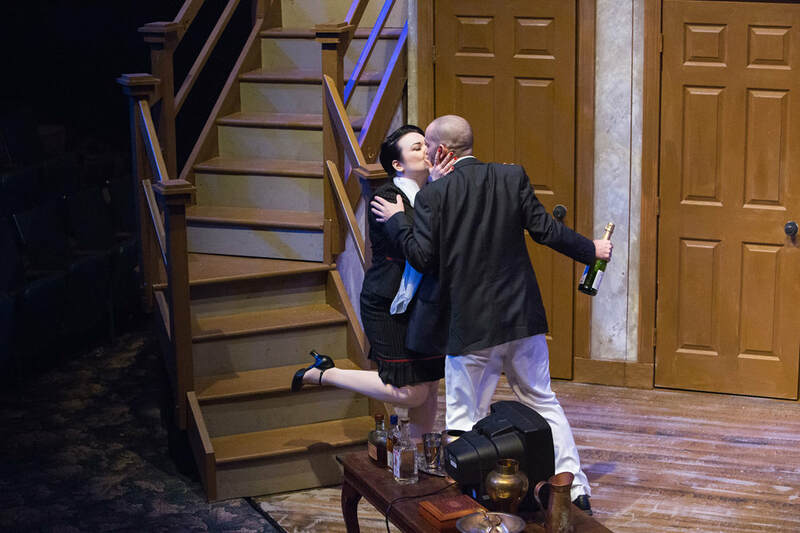 – Noises Off is the quintessential backstage farce.